Silver Jubilee fever gripped Shropshire and Mid Wales in a celebration of 25 years of the Queen's reign with events ranging from street parties to carnivals, and re-enactments to sports days. Voice of protest - these stickers were put up in Bridgnorth by the Socialist Workers Party. 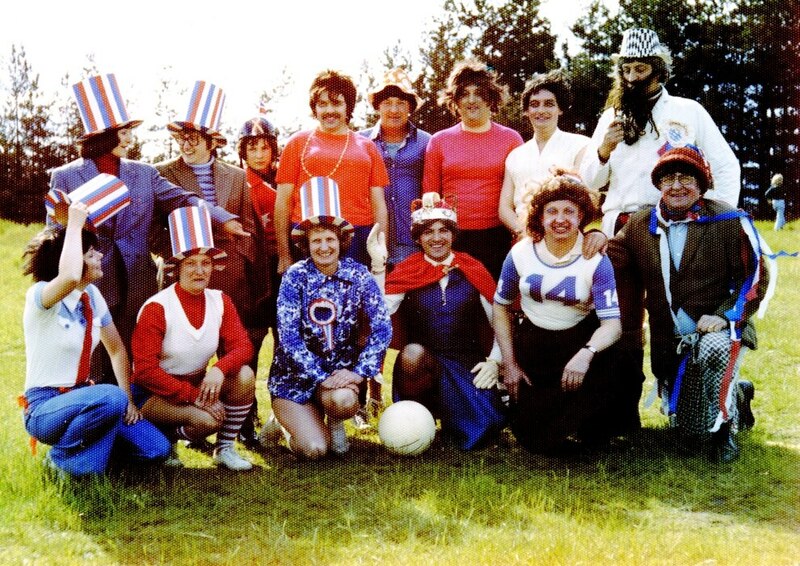 "The Queen" (alias Alan Heighway) found time to play in a comic football match at St Georges. The lighting of a bonfire on The Wrekin drew a huge crowd. 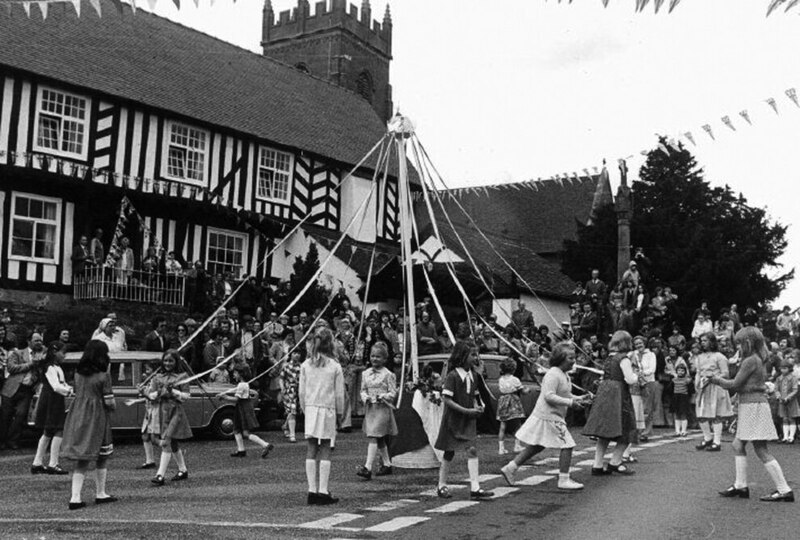 Maypole dancing in Claverley as part of the celebrations. The Bomere Belles put their best foot forward. School Days was the theme for a decorated float entered by the Wine Vaults at Church Stretton. 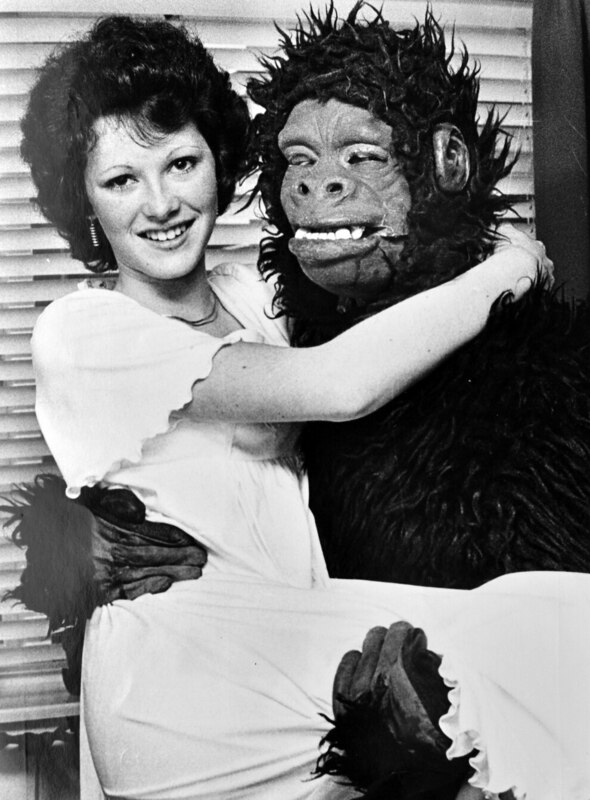 Going ape... Shrewsbury's jubilee carnival queen Helen Butler, 16, headed the procession - this was a photoshoot to publicise the town's celebrations. Bailiff Grayson Dean reads the proclamation opening the Court Leet at Market Drayton in the re-enactment of an ancient ceremony last performed more than 50 years previously. A street party at Worcester Road, Harlescott Grange. 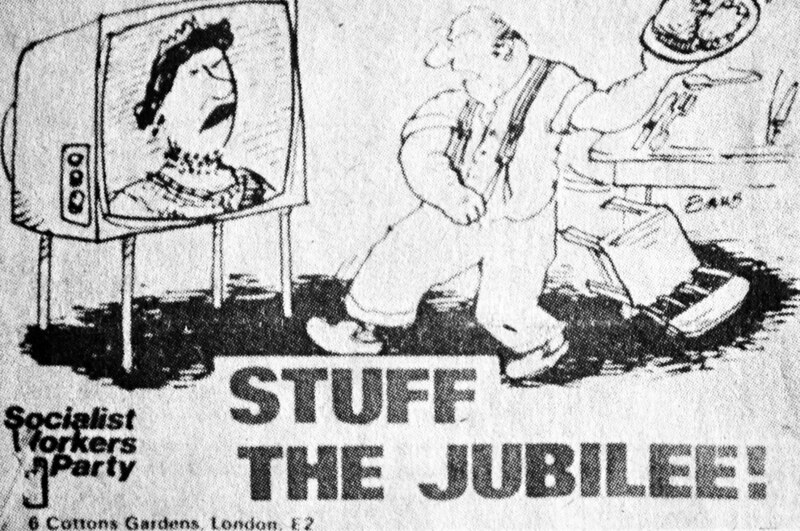 Even uncooperative weather could not put a dampener on the carefully-crafted jubilee events. Schoolchildren were at the heart of the celebrations, and were given commemorative mugs and coins, although not all got them in time. Not that everybody was celebrating. On the morning of Jubilee Day stickers carrying the message "Stuff The Jubilee!" were plastered on town centre shop windows and walls in Bridgnorth. Most were quickly scrubbed off by annoyed locals. It was part of a countrywide protest by the Socialist Workers Party. 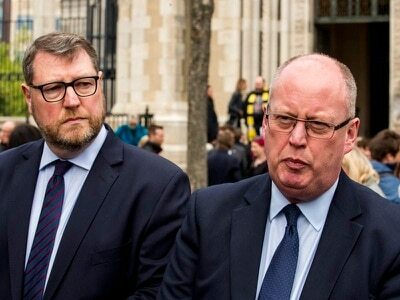 "We do not see why so much money should be spent on the jubilee when other things are being ignored, like building badly-needed hospitals for the country," said a SWP member. And in Market Drayton vandals burned down the jubilee bonfire and it had to be hurriedly replaced. 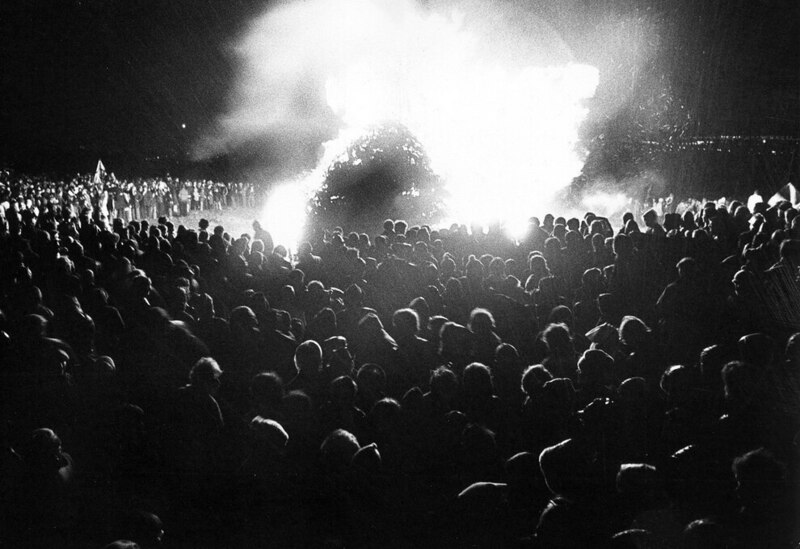 The big day, Monday, June 6, 1977, came to a climax with the lighting of a bonfire beacon on The Wrekin in traditional style, one of a chain of 102 across the land. For the record, the first was lit by the Queen at Windsor at 10pm and The Wrekin beacon was lit at 10.24pm by Shropshire's Lord Lieutenant, John Dugdale, after sighting the previous beacon in the chain at Walton Hill. Around 8,000 people went to see it happen, more than expected, and causing some traffic problems around The Wrekin. There were 10 Jubilee Day babies born at Shrewsbury's Copthorne maternity unit. One of the first was Martin Paul Caswell, born to mum Mrs Jane Caswell, of Atcham, who arrived at 3.05am. As the celebrations approached, some Shropshire schoolchildren still had not received their jubilee mugs. Salop County Council sent vans from its supplies division to the manufacturers in Stoke-on-Trent to pick up mugs as they came off the production lines and as a result, out of a total of 38,000 ordered, 35,000 were delivered in time for the celebrations. All Telford schools received the mugs in time. 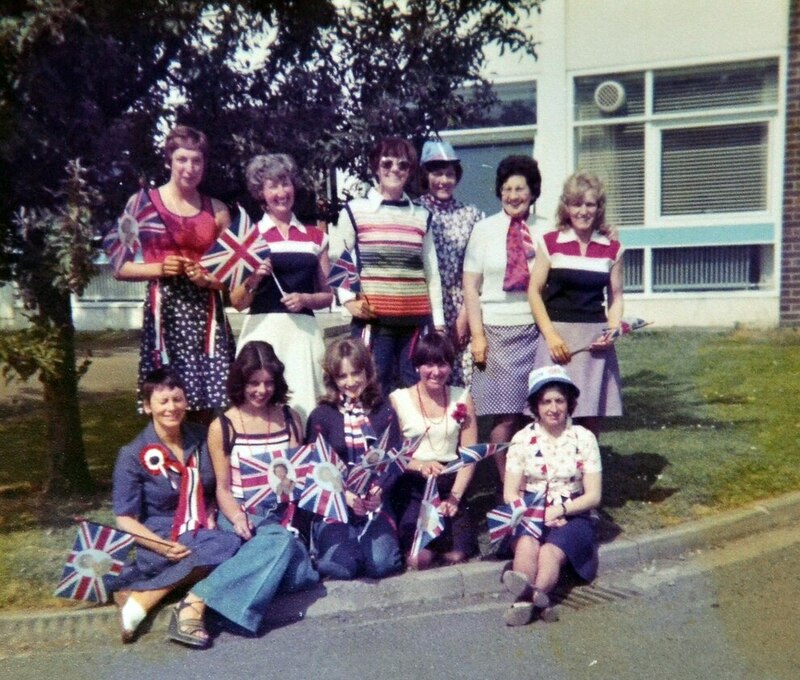 Across Shropshire and Mid Wales there were hundreds of events held on either the Monday or Tuesday of the main celebrations, some organised by local jubilee committees, and others like street parties put on for the children by neighbours and friends. SHREWSBURY: Crowds for the Shrewsbury Lions Club jubilee event in the Quarry were between 6,000 and 7,000, below the 10,000 hoped for, but the group did hit its financial target of raising £2,500 for charities. One of the highlights was an international It's A Knockout competition which was won by the team from Zutphen, which competed against teams from Shrewsbury, Oswestry, and Welshpool. 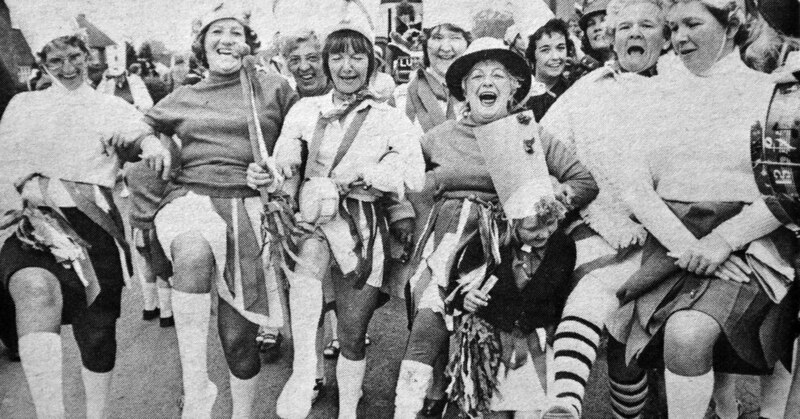 The jubilee carnival was held the following day and the procession was headed by carnival queen Helen Butler, 16, in a Rolls-Royce Silver Shadow, in a Cavalcade of Youth which included guides, brownies, scouts, cubs, youth clubs, young farmers, and other organisations. Almost 60 floats made their way from Frankwell car park to The Quarry. The highlight of the attractions there, a freefall parachute drop by the Flying Bugles, was cancelled because of high winds, and the tug-of-war was scrapped for an entirely different reason - only one team turned up. LUDLOW: Thousands braved dismal weather to enjoy the carnival organised by the Festive Ludlow Committee. Crowds several deep lined the procession route through the streets, which was led by the mayor, Councillor Jim Bateman, followed by carnival queen Jennifer James. Floats included an amphibious DUKW vehicle decorated to look like the QE2 liner, and a scaled-down version of the gold state coach which had been rescued in a derelict condition from a cafe in Chirk. The weather affected two of the main attractions at the fete organised by the Ludlow and South Shropshire Sports Club. Parachutists and a model aircraft display were grounded because of high winds. CHURCH STRETTON: Over 1,000 joined in the festivities, and organisers of the carnival had a surprise when seven Austin Seven cars turned up. A break in the weather led to a successful afternoon, the day ending with a dance and barbecue and the lighting of two beacons high above the town. 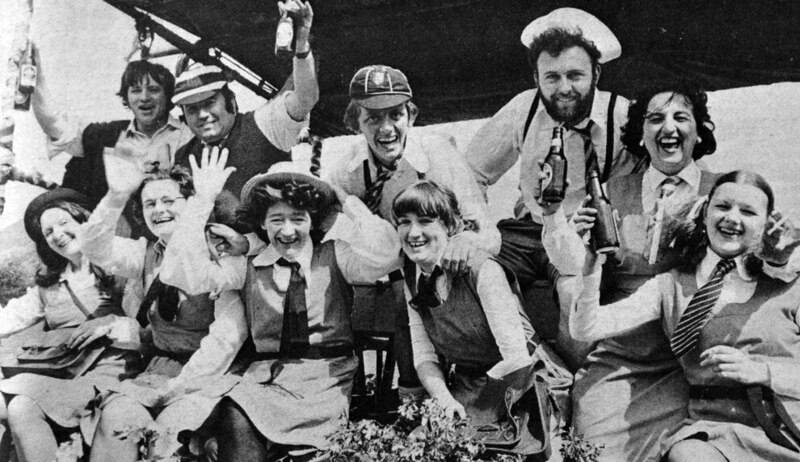 BISHOP'S CASTLE: Customers at the Three Tuns pub at Bishop's Castle had to accept half measures of a special Silver Jubilee ale. The reason was that owner Peter Milner felt the ale was too strong to serve in anything over half pints. The ale, he said, was about twice as strong as average pub beer. Three hundred gallons of the special brew was made from a recipe dating back to 1880 which Mr Milner found in an old brewing book. CRAVEN ARMS: It was carnival time, with a procession through Market Street, and the day's festivities ending in a pig roast. BRIDGNORTH: Things got under way early with a jubilee carnival on the Sunday before Jubilee Day. On the Tuesday in Worfield celebrations started with cannon fire provided by cannons owned by Lieutenant General Sir Oliver Leese. Other activities included handbell ringing and children's sports. Claverley church bells rang out and bellringers drank a special toast to the Queen, but bad weather halted a pigeon race that was to have taken place at Alveley. The lorry bringing the pigeons from Crewe could not pick up enough birds because of the weather. Other activities in the village included welly-wanging, a junior knockout, and a four mile invitation road race, with the climax being the jubilee dance at the recreation ground. MARKET DRAYTON: Disaster! On the Monday morning members of Market Drayton Round Table were dismayed to find that their carefully prepared jubilee bonfire had already been burned down by vandals. But townsfolk rallied around and were able to build an even bigger and better bonfire, 60ft in diameter and 30ft high, which attracted over 1,000 people when it was officially set ablaze on the swimming pool car park in the evening. It was not the only act of vandalism in the town, as a number of flags had been stolen from shops. Over 300 children in the town enjoyed street parties, but due to rain three of the parties were moved under cover. There was also a mix of pageantry and carnival, including a re-enactment of the ancient Court Leet ceremony, last performed more than 50 years previously. WEM: There was a pram race in the wet with over a dozen teams taking part. Pushers and "babies" had to down half a pint of beer or a soft drink at six pubs. First home were Alan Davies and Tony Vermeulan. ELLESMERE: A massive 20ft diameter floating replica of the Queen's crown was the highlight. Mounted on a punt, it provided a spectacular illuminated display on the Tuesday night on the Mere, on the banks of which children's sports were held during the afternoon in the Cremorne Gardens. 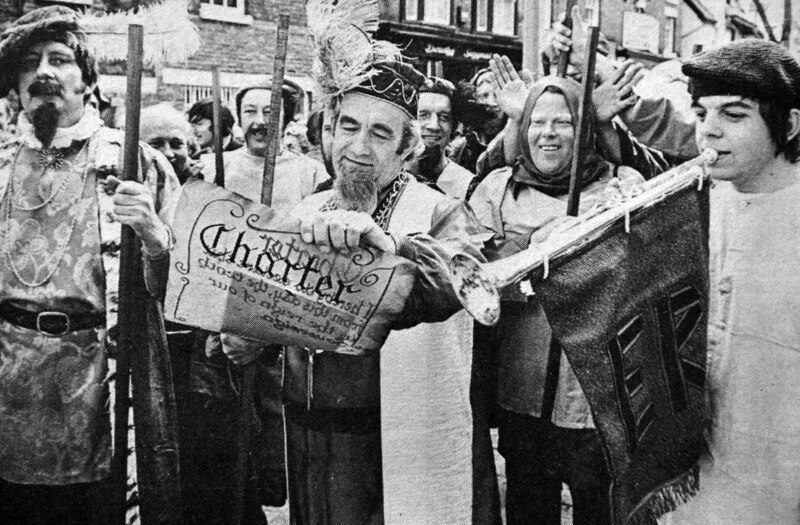 WELSHPOOL: The carnival parade was among the longest anyone could remember. TELFORD: Down came the rain, but the organisers of a street party in Gloucester Avenue, Dawley, refused to budge, organisers putting up brollies and holding polythene sheets above the children and laden tables. 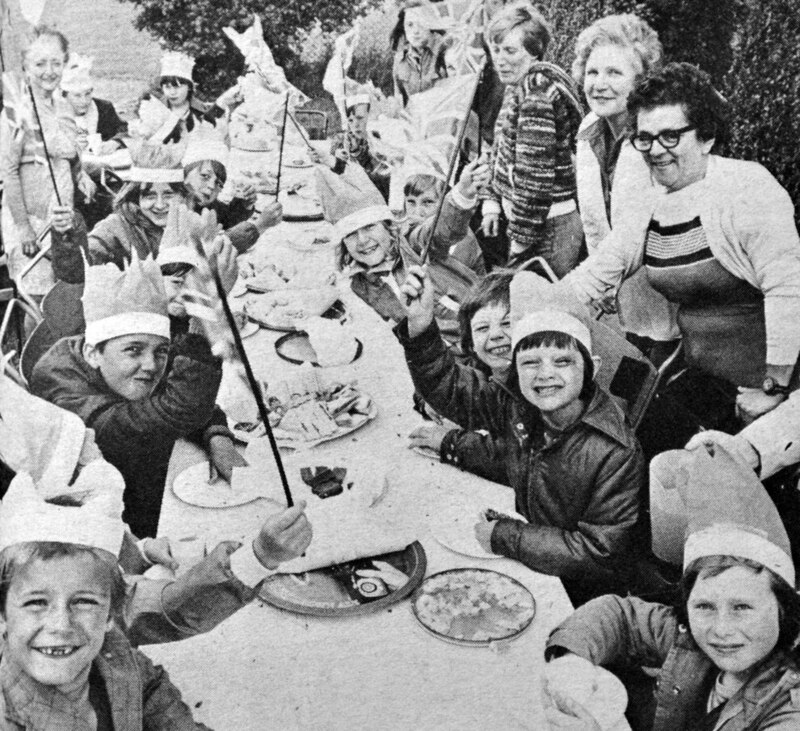 At Singleton, Sutton Hill, Mrs Gwendoline Turner made sure that the 100 children at the street party entered into the spirit of things by making each of them a red, white, and blue hat. Mrs Turner had been born on the day of King George V's jubilee in 1935. 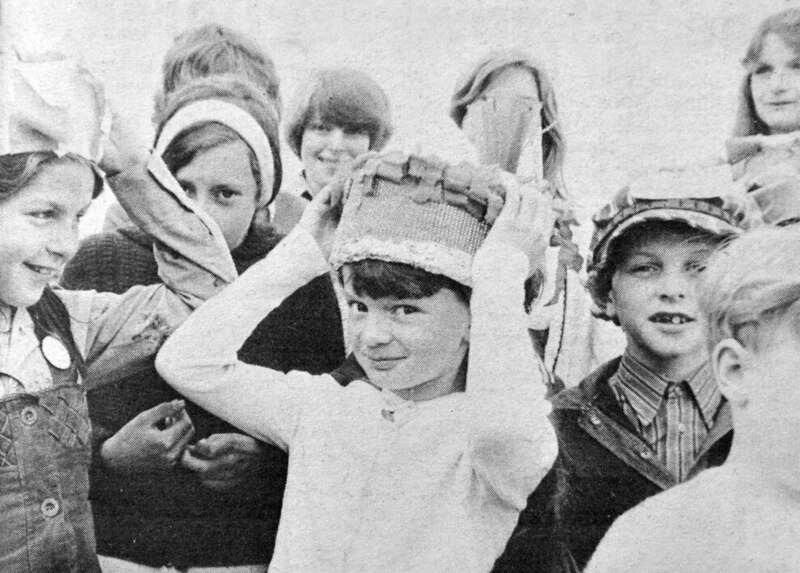 So determined were folk on a Trench estate that the 180 children there should get their Jubilee Crowns that they went as far afield as Birmingham to obtain them. They were presented at a jubilee event organised by people in Viewlands Drive, Preston Grove, and Oaklands Drive. On the Sunday following the main celebrations there was a Victorian-themed picnic at Blists Hill Museum, which turned back the clock to Queen Victoria's 1897 jubilee, and which attracted over 1,500 people. OSWESTRY: Nearly 100 Oswestry cubs and scouts celebrated by camping out at Brogyntyn Park. Among other celebrations, people in Hill Side, Gatacre Road and Gittins Street held a street party, and there was another in Thornhurst Drive. In St Martins there was a jubilee beauty competition and there were sports competitions and a tea party at Morton. WHITCHURCH: Such was the community spirit on show that the Mayor, Councillor Robert Hughes, didn't see why the town should wait another 25 years to celebrate in such style. "Last night I was dancing in the street and I thought that if we didn't continue this I wouldn't be dancing in the street for another 25 years. I would like to see it carrying on year after year to bring people together," he said at the time.